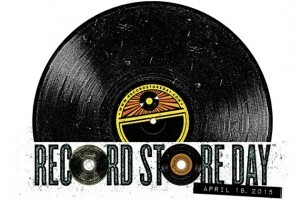 We won’t be taking part in Record Store Day this year. Labels had asked that shops were open for trading on January 30th and by a massive coincidence this was the date we had planned to open a new shop. I had been offered a shop in the New Town as the proprietor had to start a new job at the beginning of February hence the start date which was perfect timing. The start date was however put back at the very last minute to mid March and then finally to the end of April. At the same time I was still looking at the Tron which was originally only planned to the end of July and intended to open in both. Quickly the Tron looked like it would become a more permanent fixture until we have reached the situation now in which I’m happy with the Tron Church’s future plans and will not currently look for any other location. I’d been advised to explain the situation to the labels given we had only not been open on the 30th due to circumstances beyond our control and had in fact been open in the Tron by mid February. Most came back very happy for Avalanche to be included though there was one naysayer who contacted the organisers directly. However after their own consultations the organisers decided an exception could not be made as otherwise it would open the floodgates for other latecomers to ask for inclusion. When I asked how many others had in fact registered on time as we had done but without having premises open by the date the answer was one ! Beatnik in Altrincham, already again sadly closed, had in fact in a previous year been allowed to take part despite opening on Record Store Day. Given this year’s list is more dubious than ever my main disappointment was that I was looking forward to putting on some great entertainment in the Tron Church. To be fair RSD did offer to publicise any events we put on as part of the celebrations but without stock it seemed pointless and more importantly would only cause confusion. I had had to inform all those who had offered to supply RSD stock that it wouldn’t be possible after the organiser’s ruling. It does of course leave me free to comment on RSD which is something I’m regularly asked to do but I will leave that for another time. Apologies !